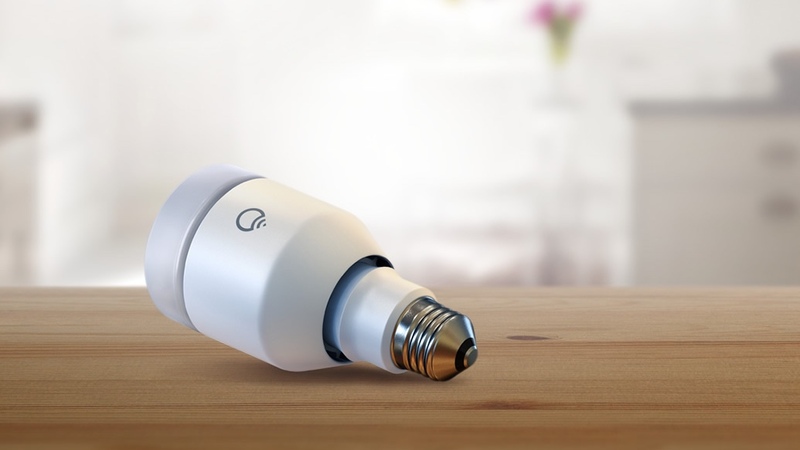 What smart light bulb solution is the right one for you? If Edison could see what we've done with his invention he'd be amazed: the humble light bulb has become super-smart, able to create all kinds of moods with a tap on a smartwatch. There are plenty of smart bulbs to choose from, but two of the biggest names are Philips' Hue and LIFX. Hue's just been given a major upgrade, so how do the two bulb systems compare? While both systems do much the same thing - enabling you to remotely control your lighting and, with the right bulbs, change its colours too - they go about it in slightly different ways. The Hue system is based around the Bridge, which connects to your wireless router and then acts as a hub for the Hue bulbs in your home. Those bulbs connect to the Bridge using ZigBee Light Link, which is based on the 802.15.4 wireless standard for personal area networks. LIFX originally used 802.15.4 wireless without a bridge: bulbs would connect to one another, creating a "mesh network" based around a master bulb that talked to your Wi-Fi. That approach has been binned due to reliability issues, and LIFX bulbs now communicate directly with your Wi-Fi via 802.11 b, g or n.
At their simplest, both Hue and LIFX are 21st-century takes on the dimmer switch: you control the bulbs via a smartphone or smartwatch app, adjusting them until they're just-so. The apps also enable you to schedule lighting for particular times, or to create "recipes" for particular circumstances - so for example the lighting you need when you're reading is different to the lighting you want when you're watching a horror movie, or when you're away from home and want people to think there's somebody in your house. Smart bulb apps enable you to save settings and recall them instantly, and you can organise your bulbs into groups to control multiple areas or rooms from the one app. When things get really interesting is when you add colour to the mix in the form of multi-LED bulbs that can create any colour you like. That can turn your room slime green for Halloween or a warming red for cold winter nights, or any combination of colours and brightness you fancy. You might sync it to a movie or to your music, use it to wake you up gently in the mornings, or have the lights change colour to warn you of bad weather or Facebook notifications. It's clever stuff. Philips Hue v LIFX: What's available? The Hue range is enormous, and potentially confusing. The range includes Hue, Hue Lux, Hue Go, Hue Beyond, Hue Phoenix, Hue Tap, Hue Bloom, Hue Iris, Hue Lightstrips and the Hue Wireless Dimming Kit. The important bits are the bulbs, which come in plain white or colour and which can fit standard E27, B22 bayonet or GU10 fittings. Lightstrips are flexible LED strips of the kind you'll see in IKEA, Hue Go and Hue Phoenix are stand-alone lamps with white bulbs, and Hue Iris and Hue Bloom are lamps designed to wash walls with colours. Hue Beyond are pendant and table lamps, Hue Tap is a light switch and Hugh Laurie is unconventional medical genius House. The LIFX range is a lot simpler: you have a choice of bulbs, bulbs or bulbs. Most bulbs are available in E26 (US), E27 or B22 bayonet fittings, and GU10 bulbs are also available. Philips Hue v LIFX: What works with what? The revised Hue Bridge is compatible with Apple's HomeKit home automation standard, so you can control it with an iPhone (including voice control with Siri), iPad, iPod touch or Apple Watch. The Hue app is also available for Android, and third party apps work on Windows and Windows Phone. There are more than 200 third-party iOS apps that work with Hue systems, and some - such as Goldee - can control both Hue and LIFX systems. The LIFX app is also Apple Watch, iOS and Android compatible, and there's a Windows app too; unofficial apps also exist for mobiles, Macs and Windows Phone. HomeKit isn't officially supported, so there's no Siri integration, but some third-party apps act as a HomeKit bridge for LIFX bulbs. Both Hue and LIFX work with Nest systems and Samsung SmartThings, and hook into the excellent IFTTT. Philips Hue v LIFX: How much does it cost? That depends on what you want to do, but the best way to start with either system is in the form of a starter pack: a single bulb isn't really going to knock your socks off. The Philips Hue white and colour starter kit is $199.95 and gives you a Bridge plus three E27 or bayonet bulbs; if you want GU10s or additional E27/B22s they're $59.95 each. Flexible lighting strips are $29.95 for 1m and $89.95 for 2m, while Bloom lights and other options start at around $79.95, rising to $400-plus for table lamps. Be careful if you spot an apparent bargain: Philips also makes non-Hue Bloom Colour lights, which don't connect to the Hue system. Those ones are labelled LivingColors. LIFX pricing is in USD: a white bulb is $39.99, a coloured one $59.99 and a coloured GU10 $69.99. Standard bulbs are available with E26 or E27 screw fittings or B22 bayonet fittings. A pack of four coloured bulbs is $239.96 and a ten pack $599. Sadly UK importers tend to charge very similar prices to the dollar amounts: the going rate for a coloured bulb is $57.99. It's likely to be cheaper to order directly from the States: global shipping is free for orders over $150. Philips Hue v LIFX: Which is best? Both platforms are well loved by their users, and they're very capable products. Hue is more flexible - there's a much wider range of products - and boasts HomeKit integration, which we think makes it more attractive if you've drank the Apple Kool-Aid. But they're both very impressive platforms.